These Two Could Soon Be the First Muslim Women to Serve in Congress | The Atlantic A Palestinian-American from Michigan and a Somali-American from Minnesota are poised to become the first Muslim women to become members of the U.S. House. Rashida Tlaib will become the first Muslim American and Palestinian woman elected to the House of Representatives in November—but she’d rather talk about the heavy-duty trucks that roll through her neighborhood in Detroit. Industrial pollution permeates the air and poses serious health risks to her constituents. Tlaib, who won her Democratic primary by exactly one percentage point, won’t face a challenger in the general election. 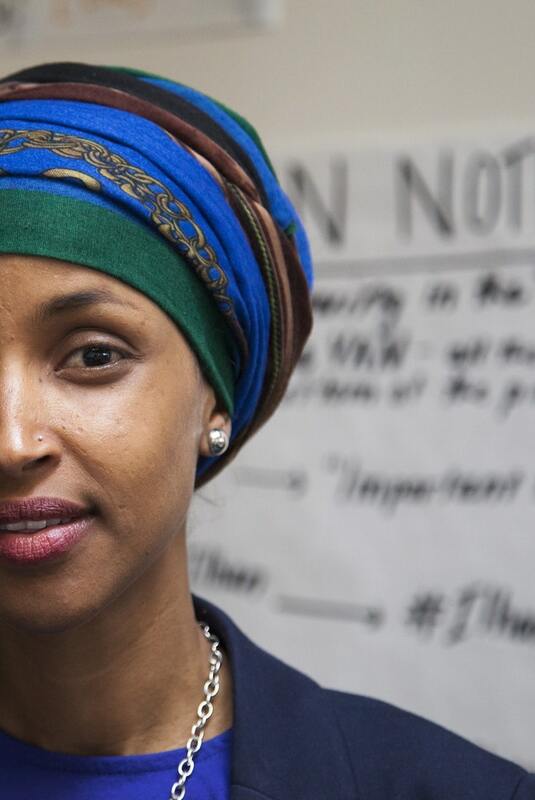 She will most likely share the distinction of being the first Muslim woman in Congress with Ilhan Omar, a Minnesota Democrat who ran for a seat vacated by Keith Ellison—the first Muslim man elected to Congress in 2006. Omar faces a Republican in the November election, but the district has gone blue since the 1960s, making her the clear favorite.